but might want to read! In this episode I’ll share with you some books that have come across my desk in the past year. While these books didn’t become New York Times bestsellers they each contain valuable wisdom and information that you will enjoy. Check these out and find something new to read this Autumn! Death Expo 2017 is coming soon! 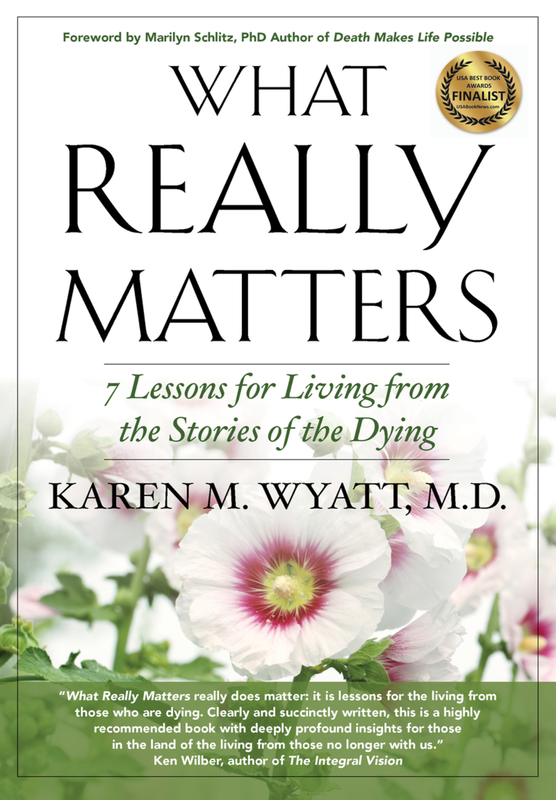 If you’ve signed up for the End-of-Life University mailing list you’ll automatically receive access to this special series on November 16-17, 2017. You’ll hear presentations from popular speakers such as Caleb Wilde, author of Confessions of a Funeral Director, Stephen Jenkinson and Jerrigrace Lyons and you’ll learn about grassroots movements like The Dinner Party: Life After Loss and Go Wish, the end-of-life planning game. Support for this podcast comes from your generous donations through my page at Patreon.com/eolu. This week I’d like to thank my latest patron Libby Gallaher! Thank you Libby and all of the other patrons out there who are helping to defray the financial costs of this podcast and also offering me your emotional and support! You are greatly appreciated! To become a patron go to Patreon.com/eolu. Beyond the Veil to Heaven: Inexplicable Manifestations and Signs From a Woman’s Transition to Heaven while Maintaining Earthly Life Connections by Ward Edward Barcafer Jr.
Join me next week for another new episode. If you enjoy this content please consider subscribing and leaving a review on iTunes! Thank you!! Until next time remember ….